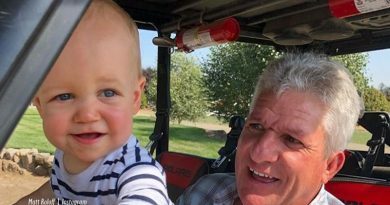 ‘Little People Big World’ Matt Roloff Slammed for Shameful Display? Little People Big World is a family oriented show with patriarch Matt Roloff and his brood sharing their daily activities with the masses. While Matt and his wife are divorced, it still sounds like fans of the show have a problem with him dating. That was seen when he posted a picture of himself with his girlfriend, Caryn Chandler. The couple was recently out having dinner with friends, which is seen below. Are Little People Big World Fans Feeling Protective of Matt? Comments about that picture came fast and furious. But it doesn’t seem as if it is Matt that they are aimed at. It seems some of the fans of the show see Caryn as having a different agenda. They see her more camera oriented than capturing the heart of Matt. Had dinner last night with my great friends.. the Hamill family from Baltimore. #ourlittlefamily rocks. Is it Matt dating that is getting the dander up for his fans? Or is it Caryn Chandler herself that has the fan’s angst growing? It is hard to draw the line between the two but some of the comments seem to point to Chandler as the problem. One fan wrote, “Caryn doesn’t need to be in the picture. You don’t see Chris [Marek] in all of Amy’s pictures. She’s in it for the money and fame. Sorry, can’t stand her.” The comparisons to Amy, who is Matt’s ex-wife are abundant. Matt and Amy have been apart since 2015. 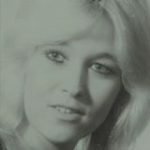 With that said, she too got her fair share of criticism when she first revealed a relationship with Chris Marek, her boyfriend. Today Matt isn’t so much under the microscope as is Caryn. 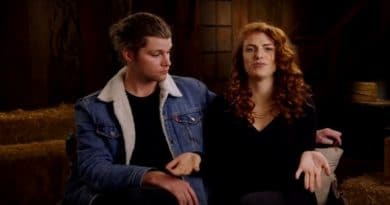 Fans don’t seem to have a problem with Amy’s choice when it comes to dating. With that said, some of the viewers sure do seem to have a problem with Matt’s choice. Amy has limited exposure with Chris in photos. On the other hand, Matt has Caryn with him in a slew of pictures. This includes the picture he is using as his icon for Instagram. While Matt seems to be all-in when it comes to this relationship, Amy is feeling a bit unsure in hers. Amy is not unsure of the way she feels about Chris. 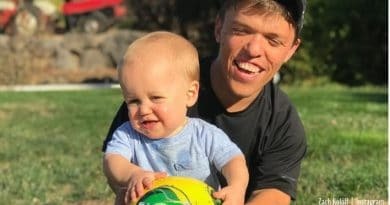 The much-loved matriarch of the Little People Big World brood recently shared her feelings about the man she is dating. It appears that Amy might not have it figured out yet what her future holds with Chris. At the same time, Matt appears a bit more confident in his future with Caryn. So why should he be chastised, or his girlfriend called names? That is what some of the fans conveyed in their comments. Little People Big World Fans Can Be Ruthless? The same thing happened when Matt posted a family picture taken at Grandpa Rob’s 80th birthday party last weekend. Not only were the fans critical of Caryn being in the picture, they were unamused that Amy wasn’t. This was a family event, one that fans thought Amy should have attended. There was no word on why she wasn’t there. But fans weren’t very forgiving of Matt for having Caryn in this picture as well as the one showing them at dinner. Matt hasn’t wiped Amy off his social media memories. There are still pictures of the two of them on his account. Just like the one below. Others quoted that old saying taught by many grandmothers and mothers alike. “If you can’t say something nice, don’t say anything at all.” That is when it comes to Caryn. Come back to Soap Dirt often for the latest Little People, Big World spoilers, recaps, and news.